Statistically, stuttering is found in approximately 1% of the population–therefore, in a town of 59,000 people with a huge research university, there are people in the triangle community who stutter. This was our main motivation for wanting to create a support group on UNC’s campus. We want to make it clear that stuttering is not something to be ashamed of and we want a place for people to be able to go where they will be accepted for who they are. Our group is here to empower individuals who stutter and let their voices be heard in our community. 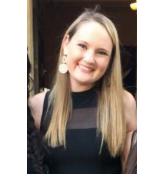 Christine: I’m from Greensboro, North Carolina and I’m currently pursuing a bachelors degree in Linguistics with the plan to go on to a graduate program in Speech Language Pathology. I think I want to work in early intervention therapy with children 0-3. Although I don’t personally stutter, I feel passionately that communication is a pivotal and enriching part of life and that being comfortable communicating with others is a freeing feeling. I love dogs, all things to do with french culture, hiking, and broadway musicals. 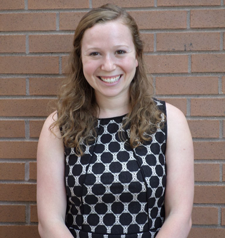 Gretta: I’m from Hinsdale, Illinois and I am currently pursuing a bachelor degree in Interpersonal and Organizational Communications. I plan to continue my studies to obtain either a Master’s Degree in Speech Language Pathology or a Clinical Doctorate in Audiology with a focus on cochlear implants. I chose to become a chapter leader because even though I myself do not stutter, I believe it is important that everyone has a place to freely communicate and discuss their experiences. I love reading, dogs, traveling, and cooking. 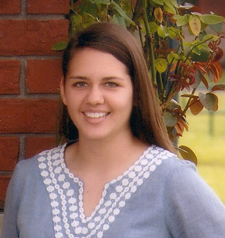 Sarah: I’m from Raleigh, North Carolina and I am currently pursuing a bachelor’s degree in American History. I plan to go to graduate school to earn a clinical doctorate in Audiology specializing in pediatrics because I love working with kids! I believe that reaching out the community is an important part of being an undergraduate at UNC-CH, especially while pursuing a degree in the Speech & Hearing Science field. I want to create a welcoming, positive environment for those people who do stutter and have them know that they are not alone. I love working at my summer camp, hanging out with my friends, playing volleyball, reading, and listening to music! We meet the 3rd Tuesday of every month from at 6pm in Bondurant Hall Room G030 (on the ground floor). Our first meeting is April 19th so please come out! Want more support in the Triangle area? Check out the Raleigh Chapter with Rita Thurman! For more info contact thurmanrita@gmail.com.